 You can offer a donation at any time to Temple Yoga & Wellness Center. Just specify how you would like your contribution to be used. ​﻿Karma Yoga is about helping and giving to our community. Temple Yoga & Wellness is committed to helping by serving communities here and abroad. We are committed to support Kate's Club in 2016. Kate's Club is a grief group for children who have lost a parent or sibling. Join us for a FREE yoga class and donate for a good cause. For 2016, all Karma Yoga classes and donations will go towards Kate's Club. Kate's Club is a grief group for children who have lost a parent or sibling. This group has been an awesome support for my sons and me since the loss of their dad. Please visit www.katesclub.org to donate directly or click the donation button above. This year we will be walking in the Susan G. Komen 3-Day in Atlanta to help raise money and awareness for breast cancer. My team will be walking 60 miles in honor of my mother who is a breast cancer survivor. You can donate to the cause by clicking the donation button above or click on the text to go to our donation page. Thanks for your support!